Taking over the former Peace A Pizza location in Ardmore is Snap Custom Pizza (4 Station Rd., 610-896-4488), a Chipotle-style quick-service restaurant where the pizzas are made in about two minutes. Chef Tim Van Winkle says that after a gluten-free pizza order is placed, a single employee will handle the preparation. using a pre-made crust, the employee will pull ingredients and toppings from the walk-in fridge and prepare the pie with separate bakeware and utensils. All pizzas with a gluten-free crust are $8.49, regardless of whether guests order a featured or custom pie with a choice of toppings. (Most toppings are gluten free, but avoid the meatballs and blue cheese salad dressing.) The shop's grand opening is tomorrow, when doors open at 11 a.m. and the first 50 guests get a free pizza. It's then $5 per pizza until 5 p.m.
Sicily Restaurant in Bethlehem (4460 Easton Ave., 610-694-9112) offers gluten-free pizza that is prepared separately with a pre-made crust. 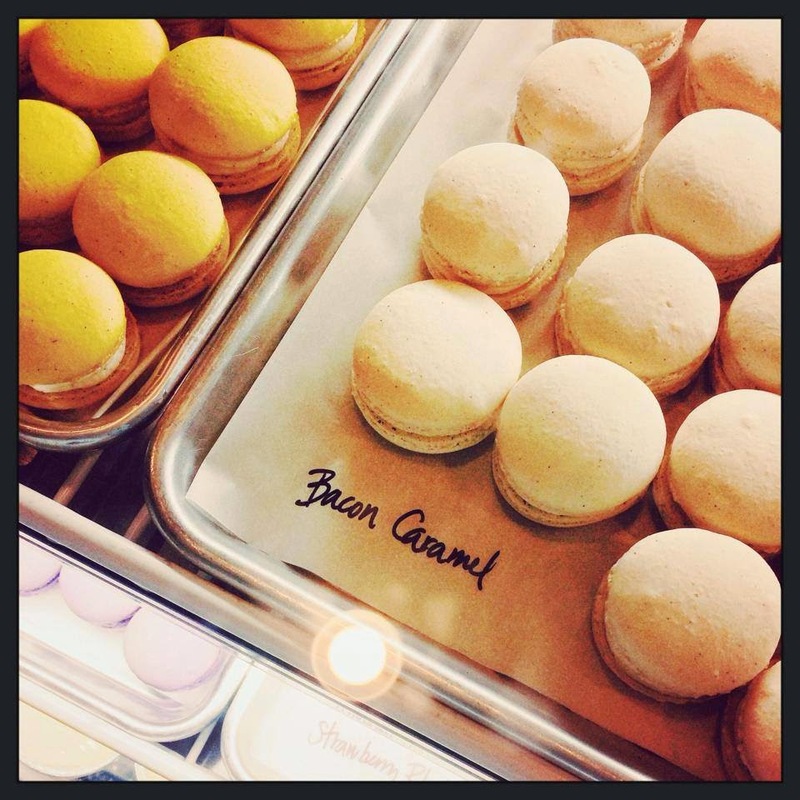 New to Philadelphia's Chinatown is Audabon Bakeshop (145 N. 11th St., 215-625-2806), where all macaron flavors, which are made with almond flour, and all but one pudding variety (banana) are gluten free. The Phillies' single-A Lakewood BlueClaws have gluten-free chicken sandwiches and hot dogs at the third-base concession stand at FirstEnergy Park. Guests should request gluten-free rolls and baked chicken. 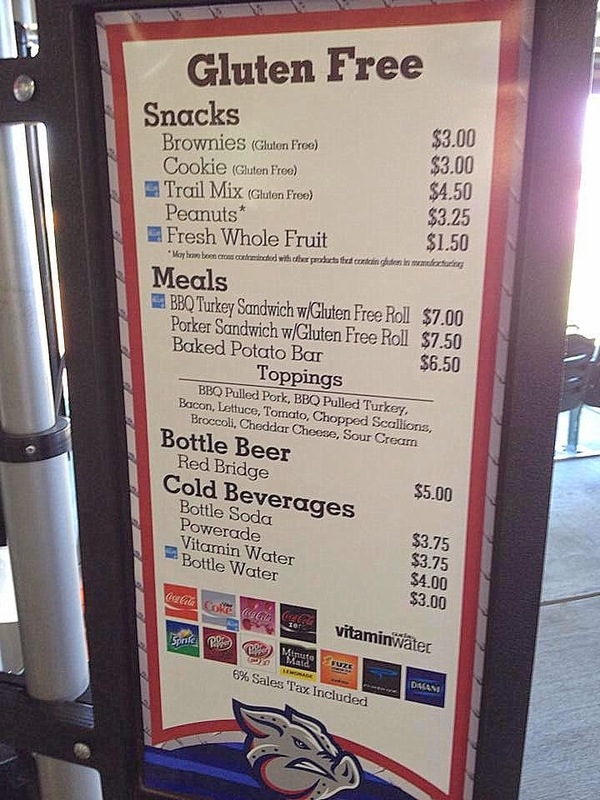 Thanks to reader Brian H., who let me know that the Lehigh Valley IronPigs, the Phillies' AAA affiliate in Allentown, has debuted a dedicated gluten-free stand for the 2014 season. Included on the menu are BBQ turkey and pulled pork sandwiches, a baked potato bar, Redbridge beer, and cookies, brownies and other snacks. It's located behind Section 106. The Kansas City Royals' AA team, the Wilmington Blue Rocks, offer gluten-free hot dogs and Redbridge beer at Frawley Stadium's Blue Moose Grill on the first-base concourse. The Trenton Thunder, the Yankees' AA team, has gluten-free veggie dogs, burgers and cookies at Arm & Hammer Park's Horizon Healthy Plaza Eatery along the third-base concourse. The Courier-Post reports that the Whole Foods at the Ellisburg Circle Shopping Center in Cherry Hill is scheduled to open on June 18. Chick-fil-A's grilled chicken nuggets, which were introduced in 2012 as a Kid’s Meal entrée, have been reinvented and offer a new grilled flavor. Customers can order them in 8-count or 12-count with their choice of dipping sauce. 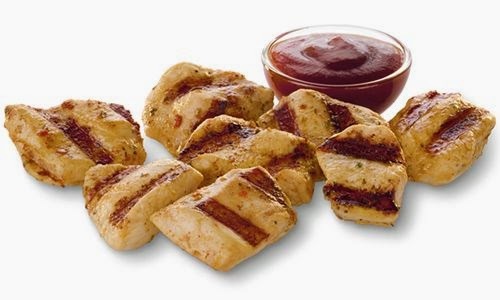 The grilled nuggets are made without gluten-containing ingredients and are free of trans fats, with prices starting at $3.79 and $5.59, respectively. In Tuesday's post, I featured Chester County's Sipp sparkling beverages, which are gluten and caffeine free and are distributed in the Philadelphia area and in 16 states. I've never been to a Star Trek convention, but I imagine that last weekend's inaugural Gluten-Free Living Conference in sunny and warm Orlando had many of the same elements - a mix of celebrities, panel discussions and vendors - without the Spock ears, of course. There were nearly 50 gluten-free food manufacturers sampling their goodies, and among my new finds were Nostalgic Cookies, a Florida-based manufacturer of gluten-free linzer tarts made with almond flour. I'm partial to the raspberry, but the cookies also come in apricot, kiwi lychee chocolate and pomegranate hibiscus flavors. They're sold through Amazon.com. Though I'm not a fan of Ener-G Foods' shelf-stable breads, the company is launching a promising line of ready-to-eat cake loaves. The pound cake variety that I sampled was moist and tasty. Distributor World Finer Foods has begun carrying Fruit Me Up squeezable fruit pouches in six flavors. 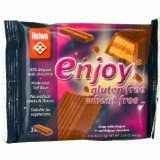 Of course, I can't mention this company without letting readers know that the Helwa Kit-Kat style wafer bars I wrote about last fall (also sold through World Finer) can now be purchased at Amazon.com (though they are pricey). They're gaining wider distribution in retail stores as well. The Piping Gourmets brought their line of gluten-free whoopie pies to the event, where I tried the lemon and chocolate mint varieties for the first time. The vanilla and chocolate flavors are available in the freezer section at several local Whole Foods markets, and the treats will soon be sold at Wegmans. Another vendor, 22 Days Nutrition, sampled a number of their tasty organic energy and protein bars that are sold at Whole Foods and The Vitamin Shoppe. Mike Conte, owner of Vineland, New Jersey-based Conte's Pasta told me while at the event that the packaging for his company's new gluten-free tortolloni is complete and that this first-to-market product will soon be available to the public.